Everyone struggles or feels anxious at some point in their life, but for some people it can be an ongoing problem, Sharing your issues with a Counsellor or Psychotherapist in a safe, supportive, confidential environment often helps. 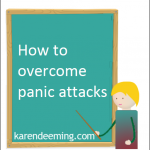 We can talk about Psychotherapist, Counsellor and Mindfulness Teacher Karen Deeming, MA, Ad Dip, UKCP reg and what clients say about her later. But for now, let’s establish how you can benefit from affordable, confidential, expert, private counselling services based in Bristol. 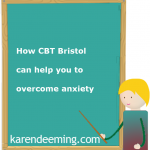 Then private counselling sessions in Bristol may be very helpful for you. What are the benefits of private counselling sessions? I am passionate about supporting people like you, to overcome issues such as anger, anxiety, stress, bereavement, low self esteem, bullying and work related issues through new ways of thinking and behaving. 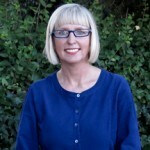 I am a Psychotherapist, Counsellor, Mindfulness Teacher & Personal Development Consultant who promotes health and well-being in a practical fashion through a range of coaching, counselling and psychotherapy methodologies. I offer short term and long term Bristol based private counselling services, psychotherapy and mindfulness services for adults aged over 18 this includes bespoke student counselling services. For fees and more practical information see here. My Bristol Counselling Practice address is: 14 Orchard Street, Bristol BS1 5EH.